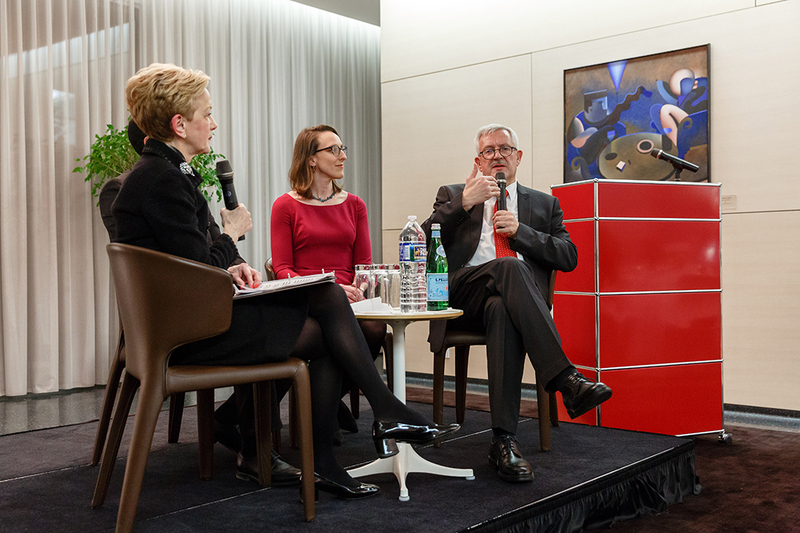 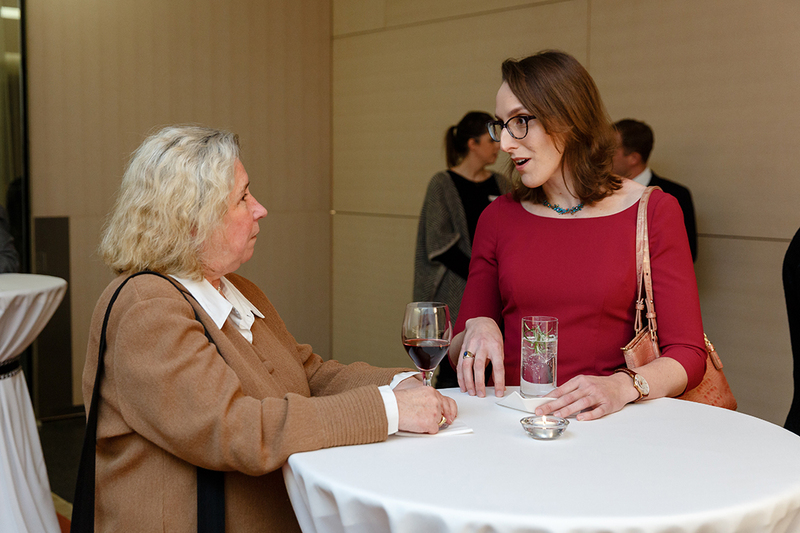 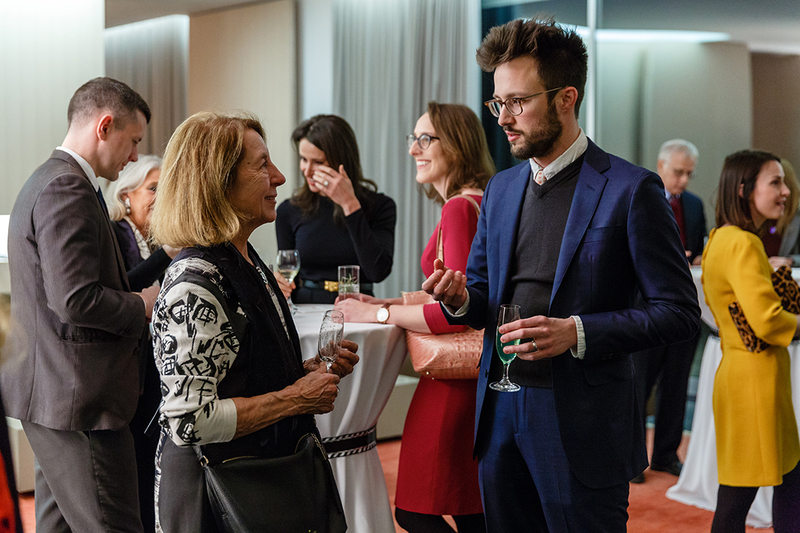 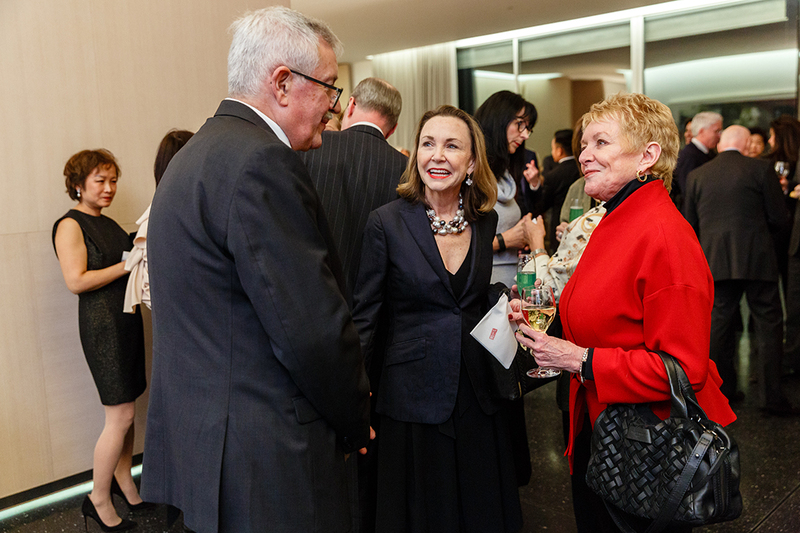 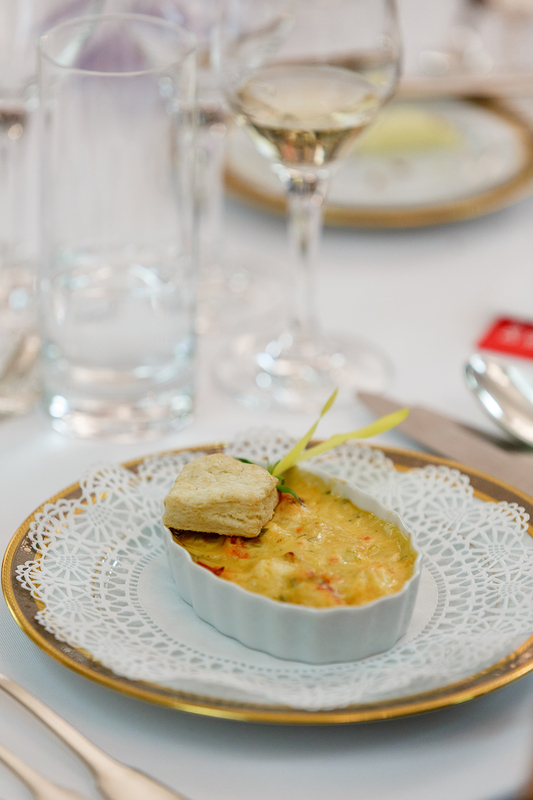 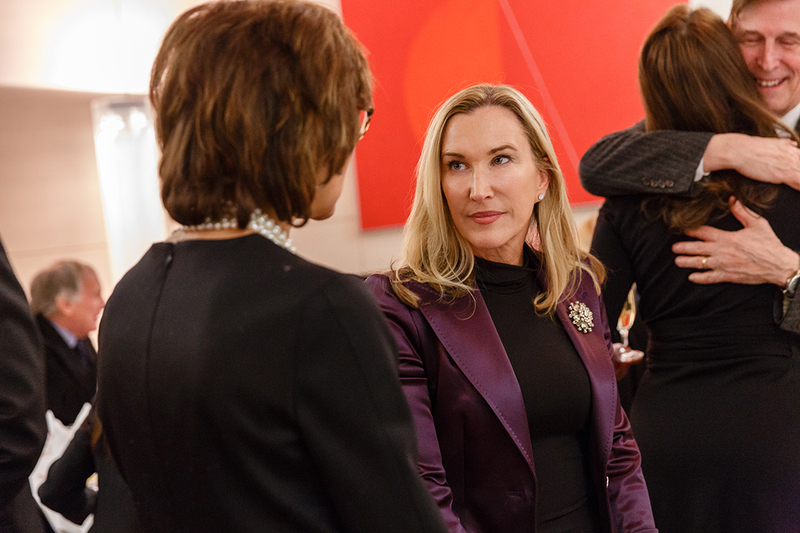 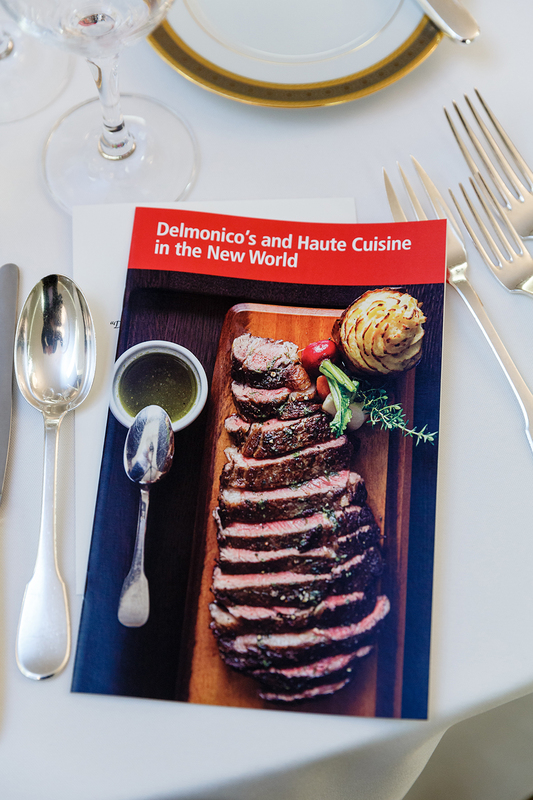 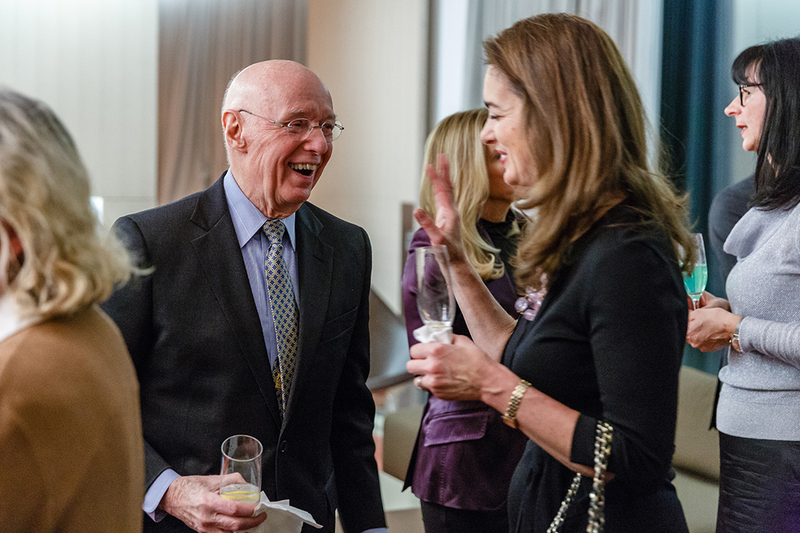 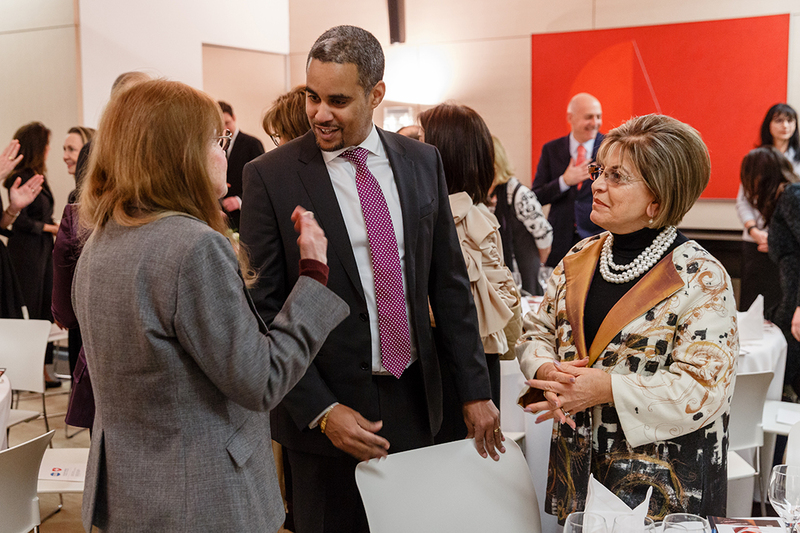 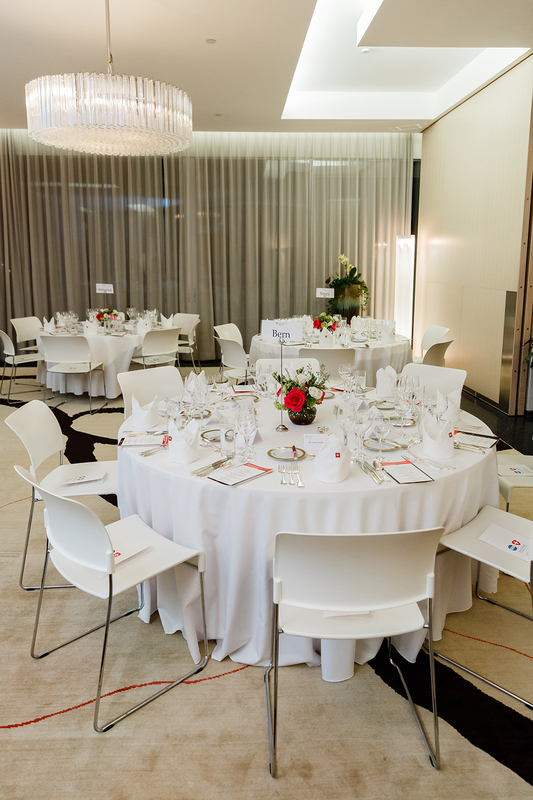 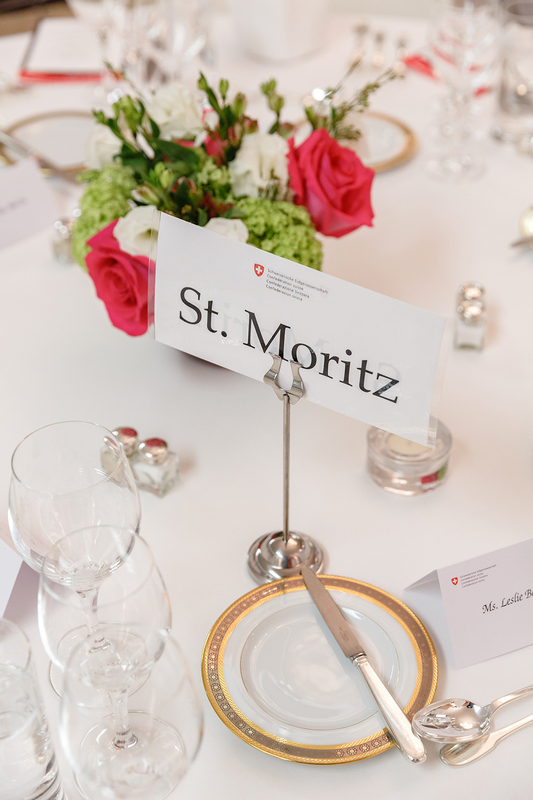 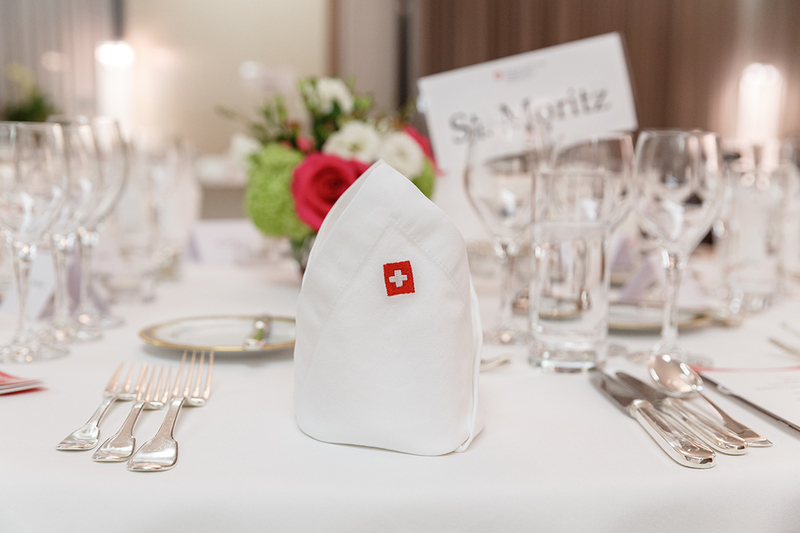 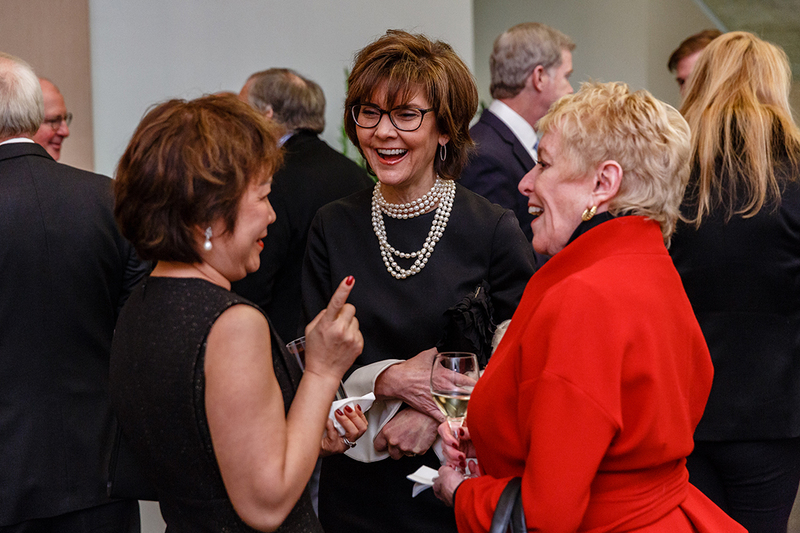 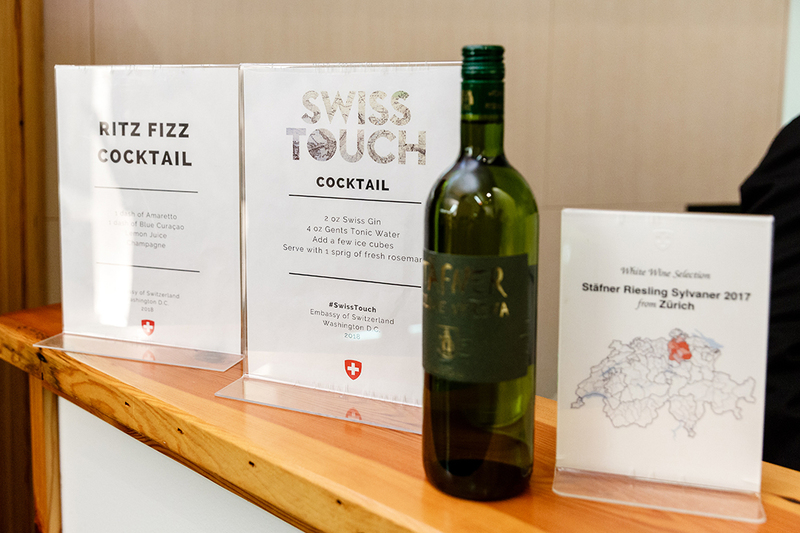 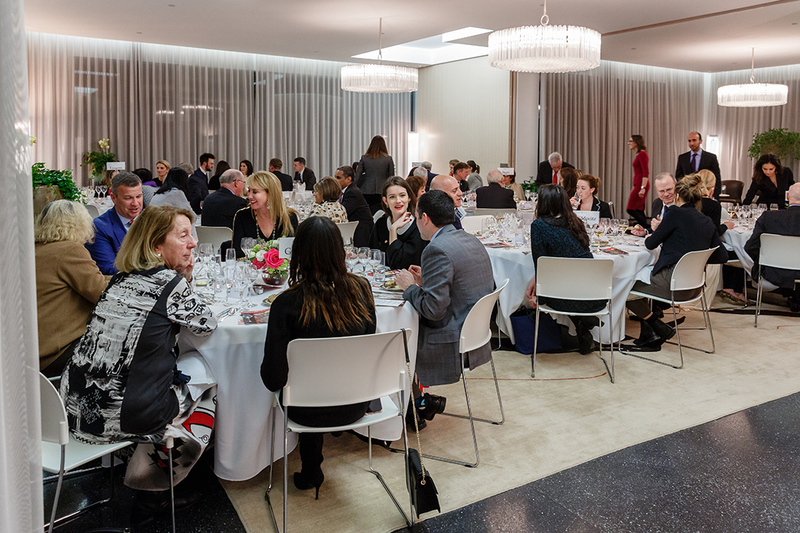 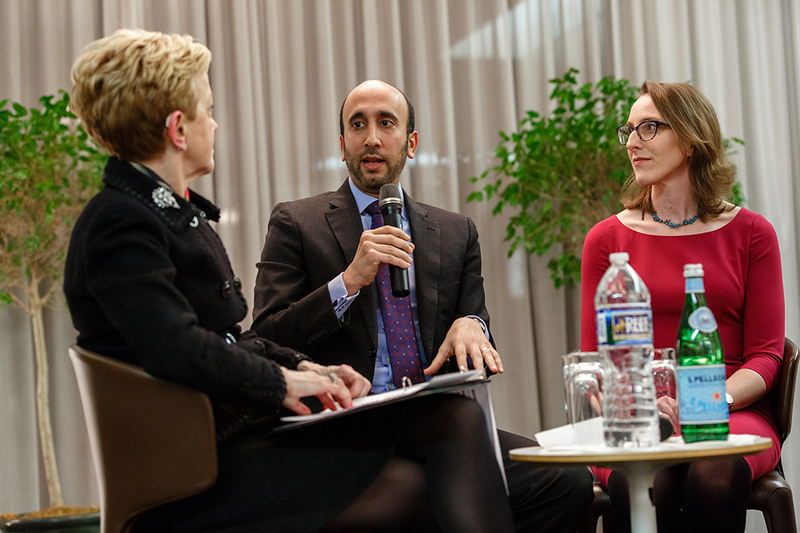 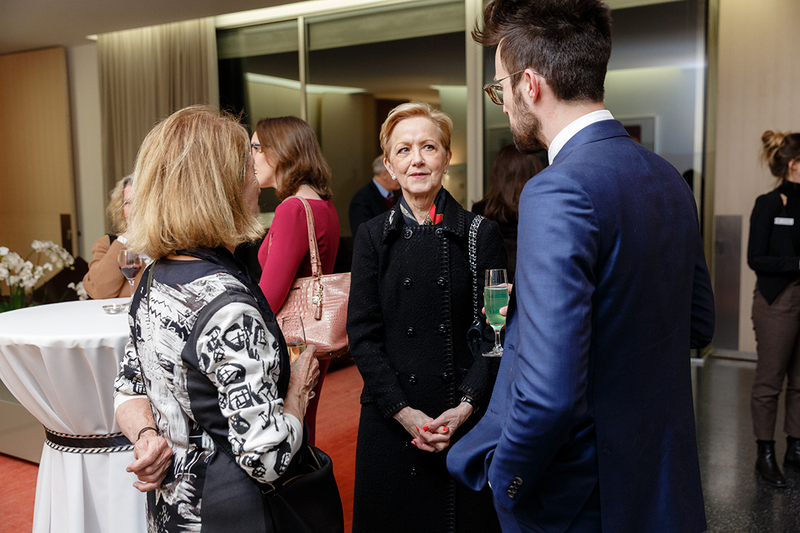 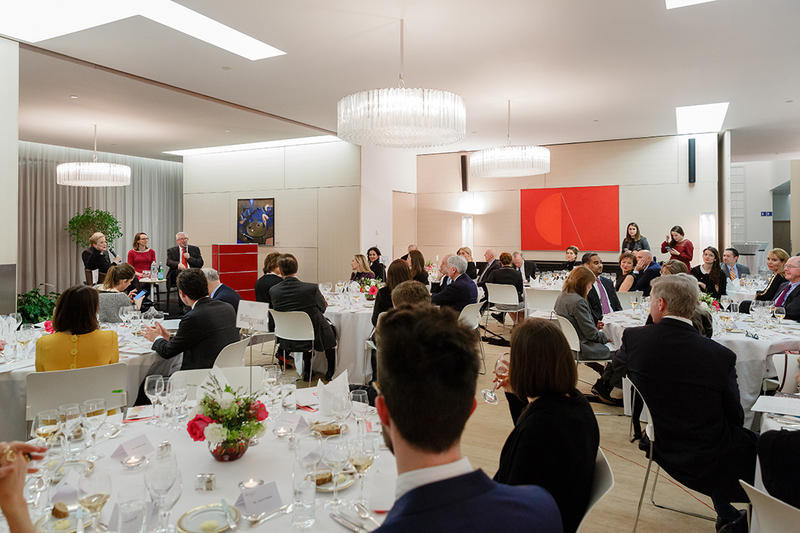 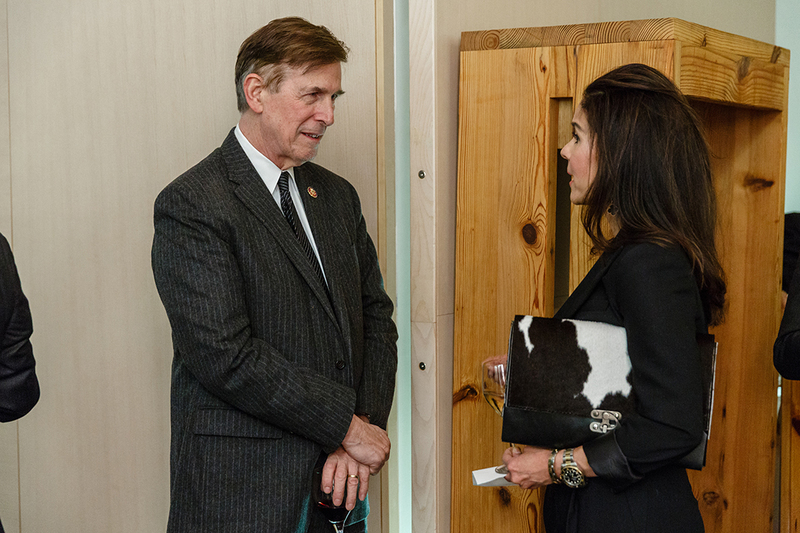 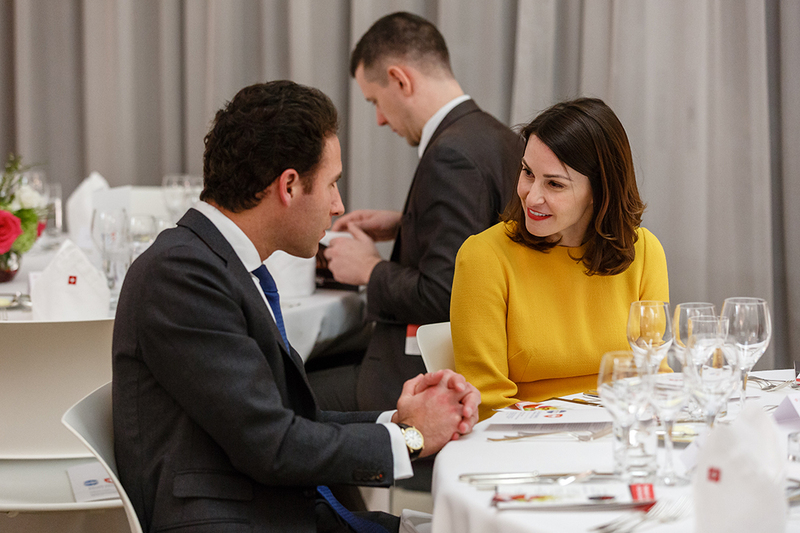 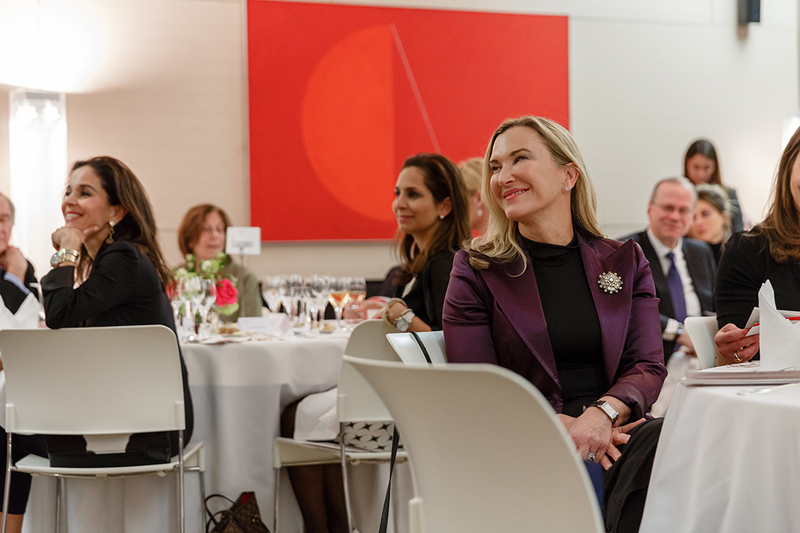 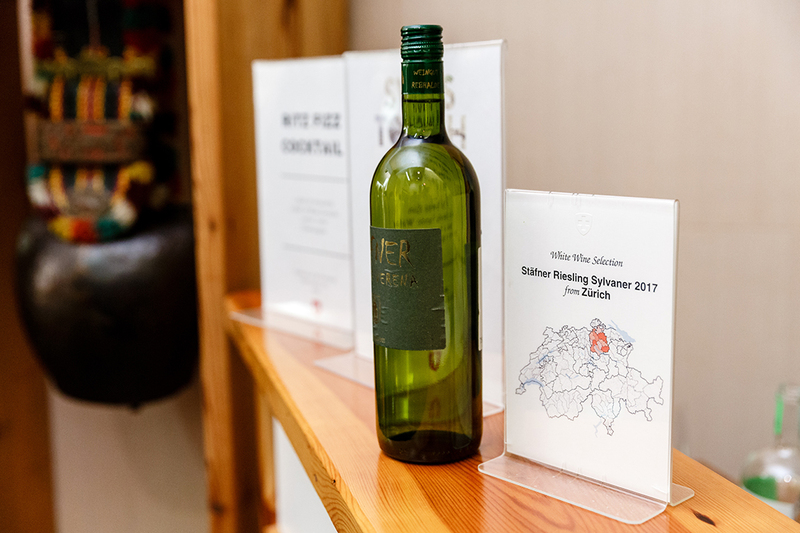 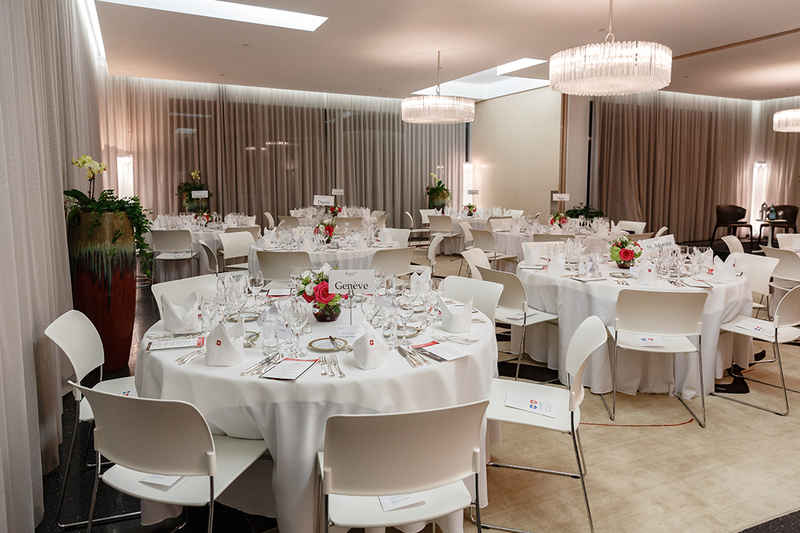 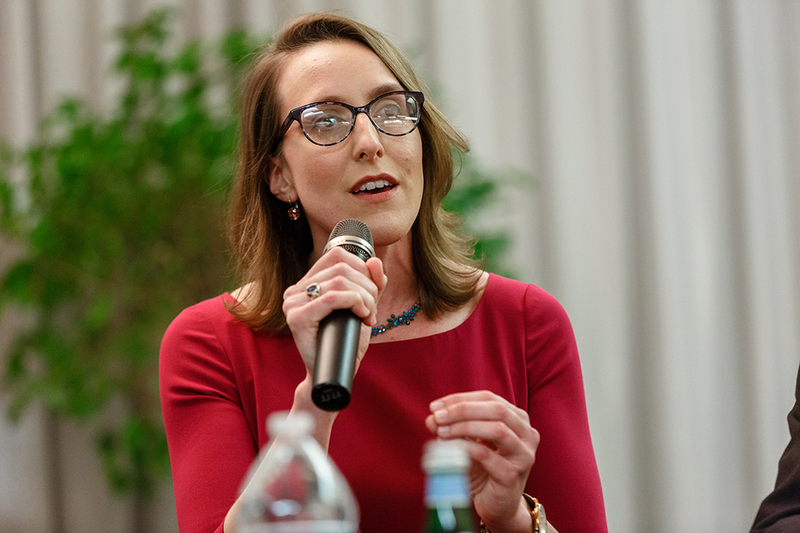 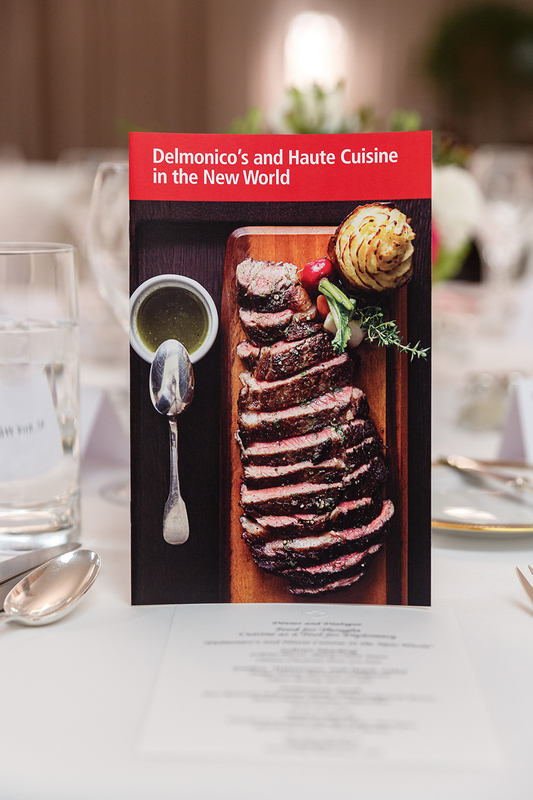 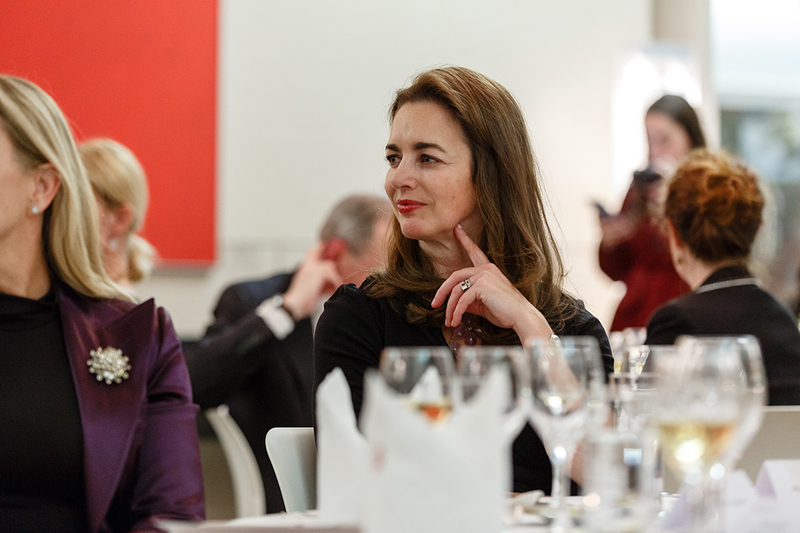 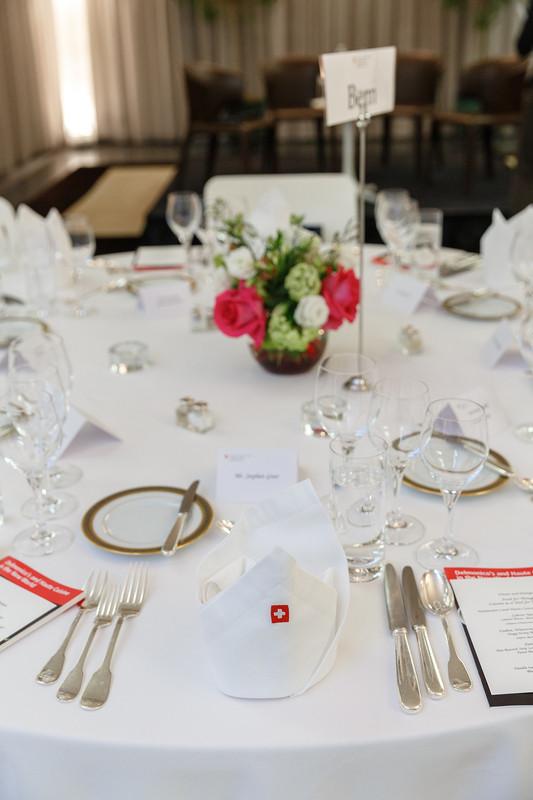 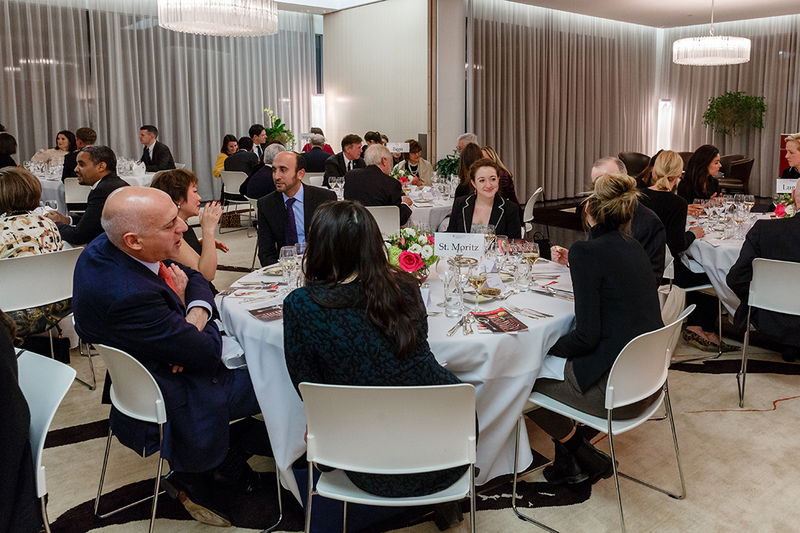 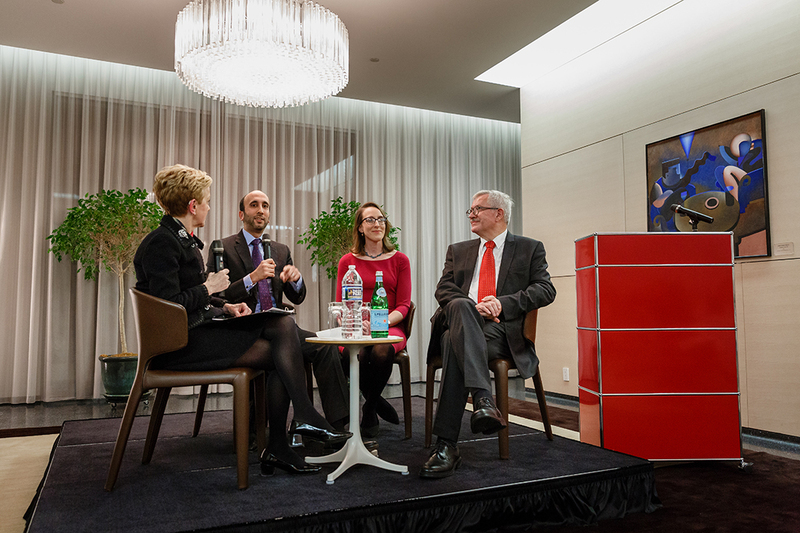 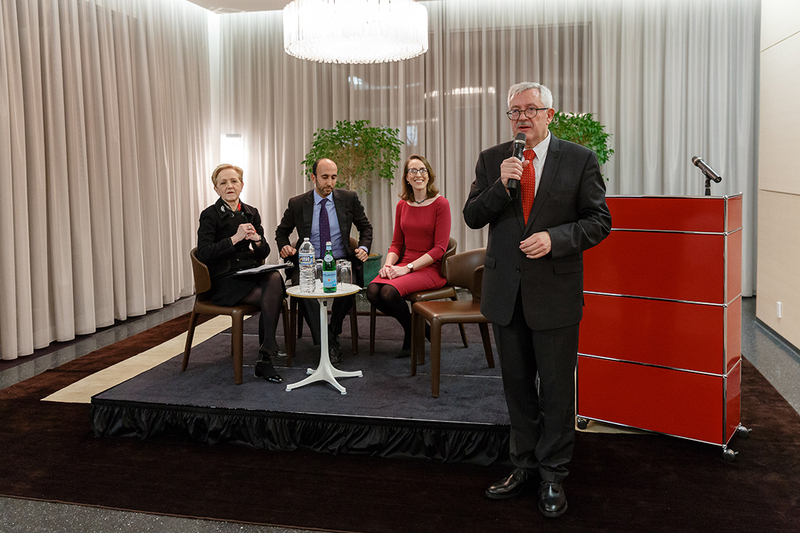 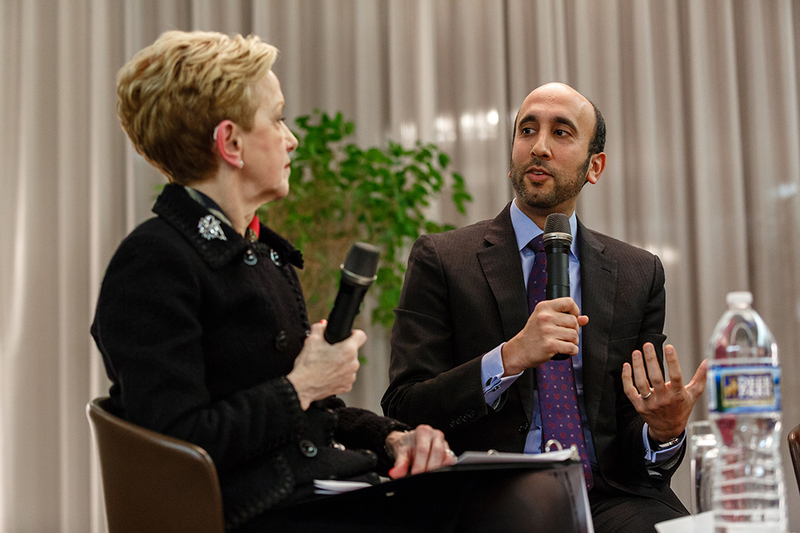 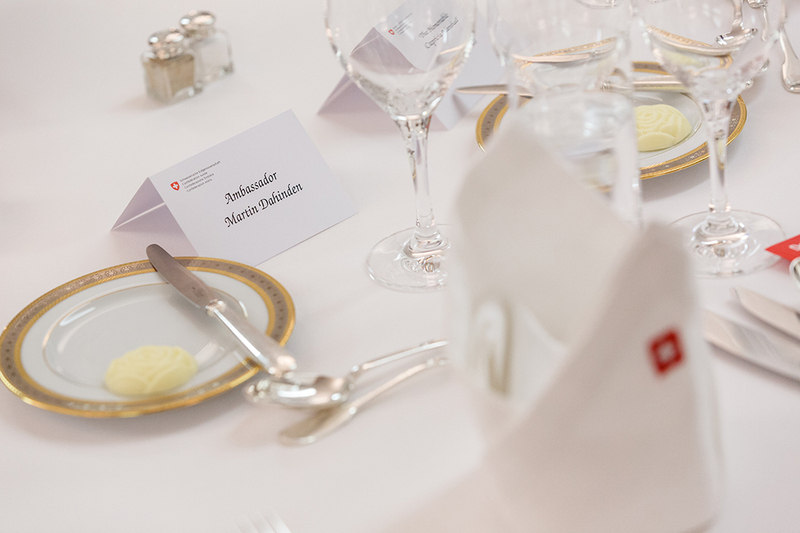 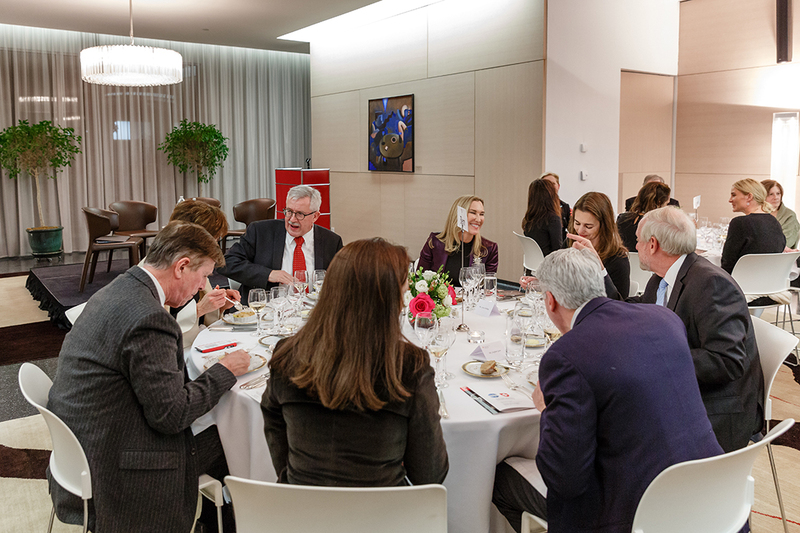 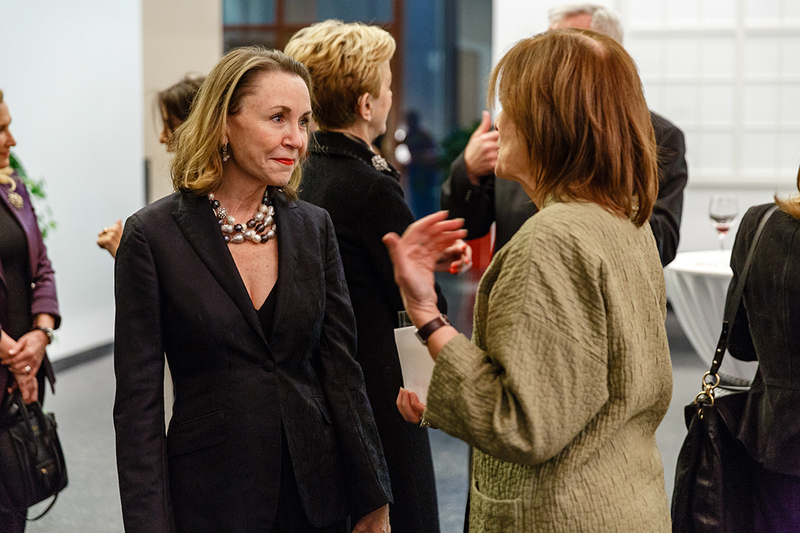 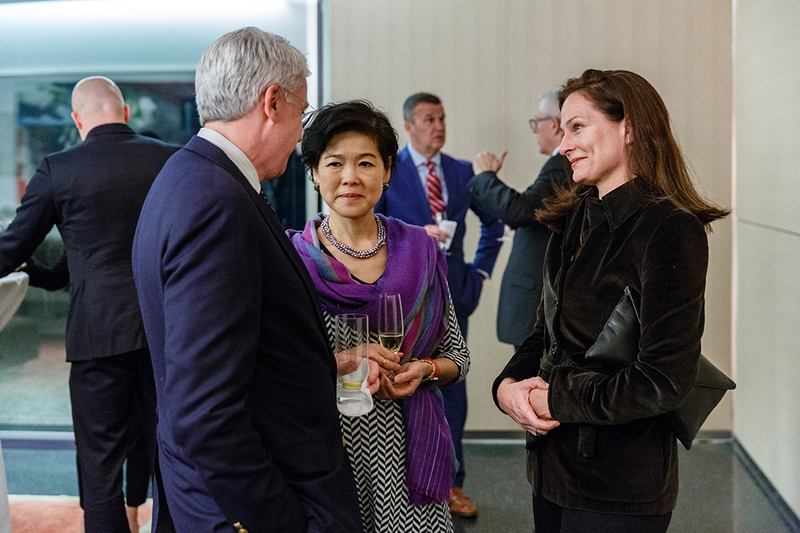 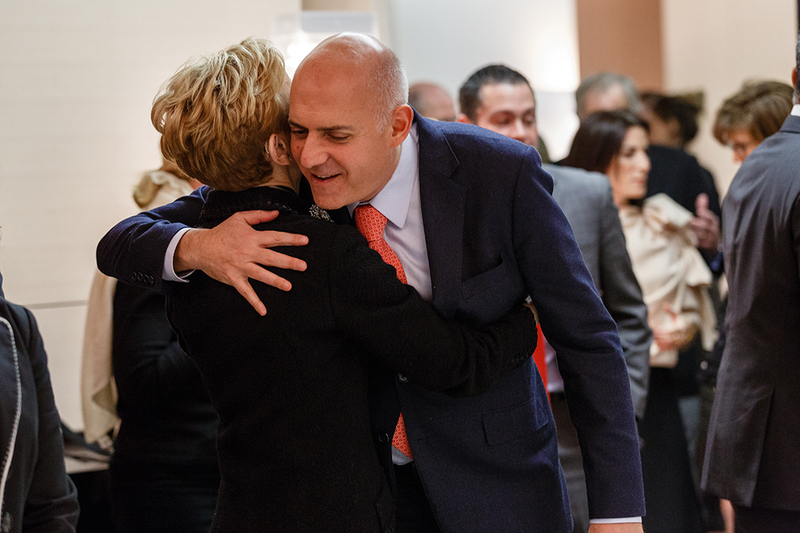 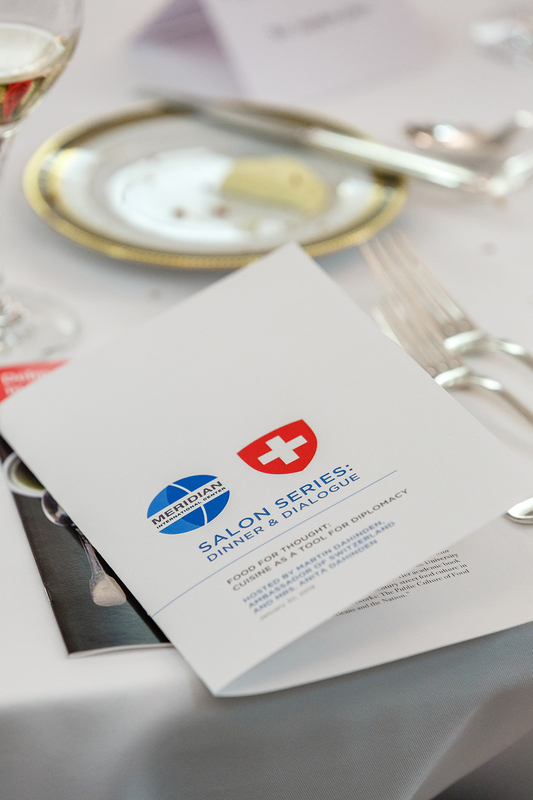 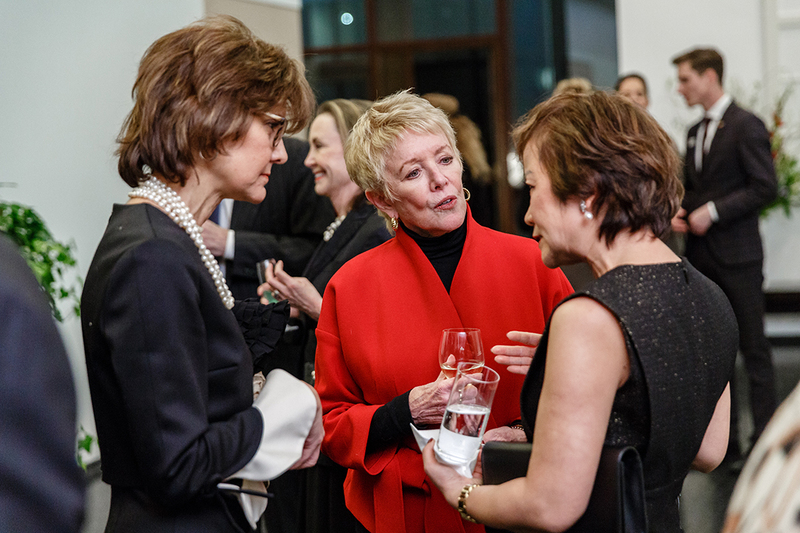 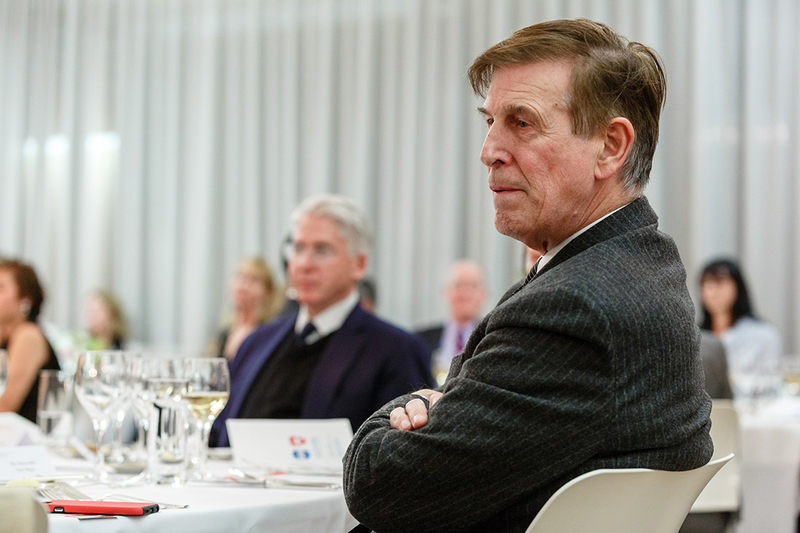 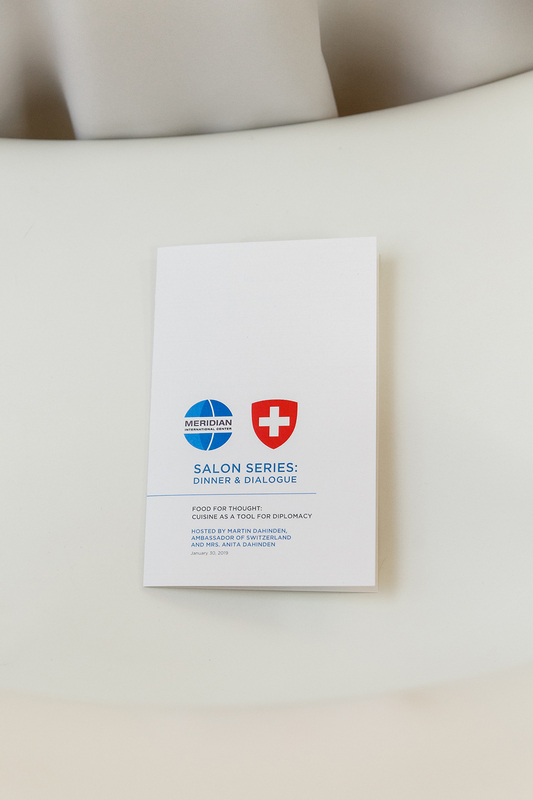 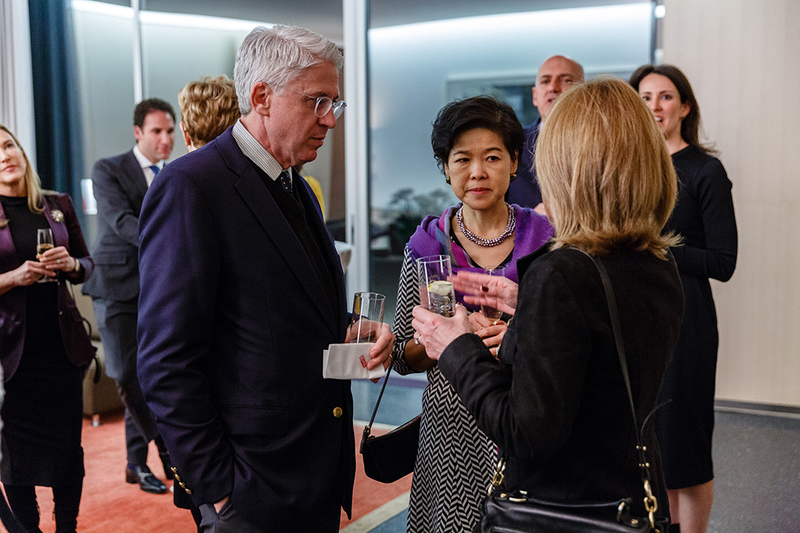 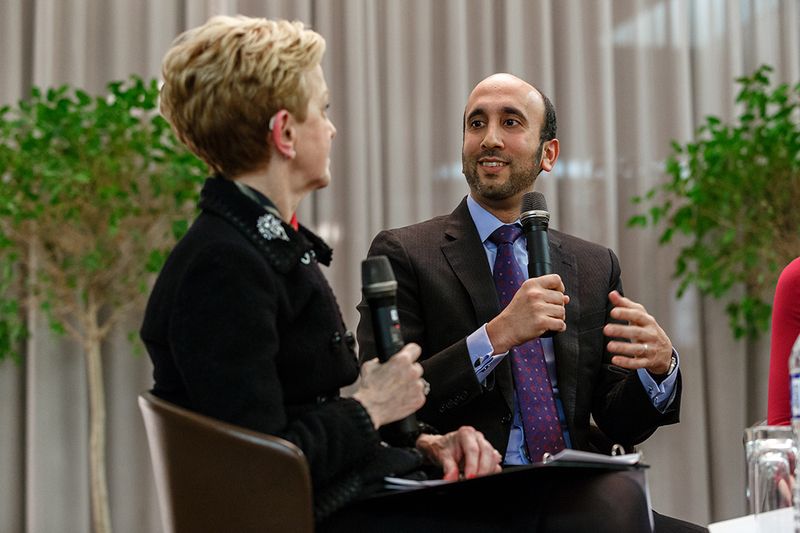 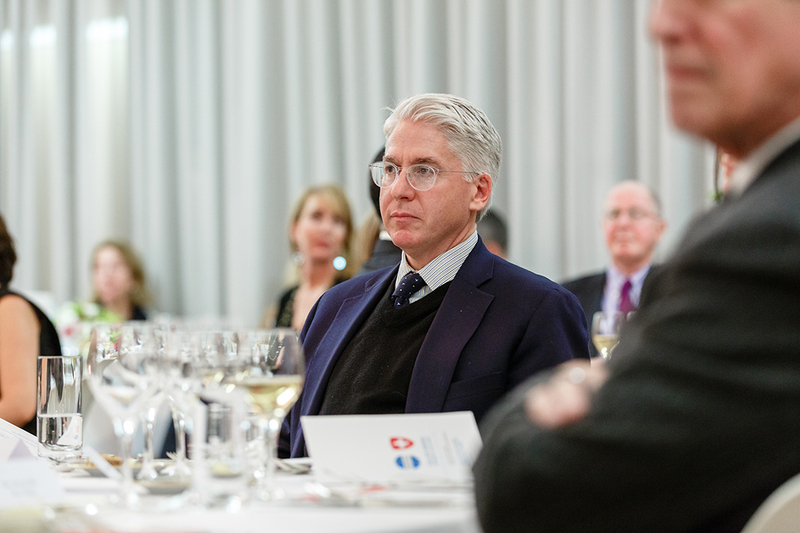 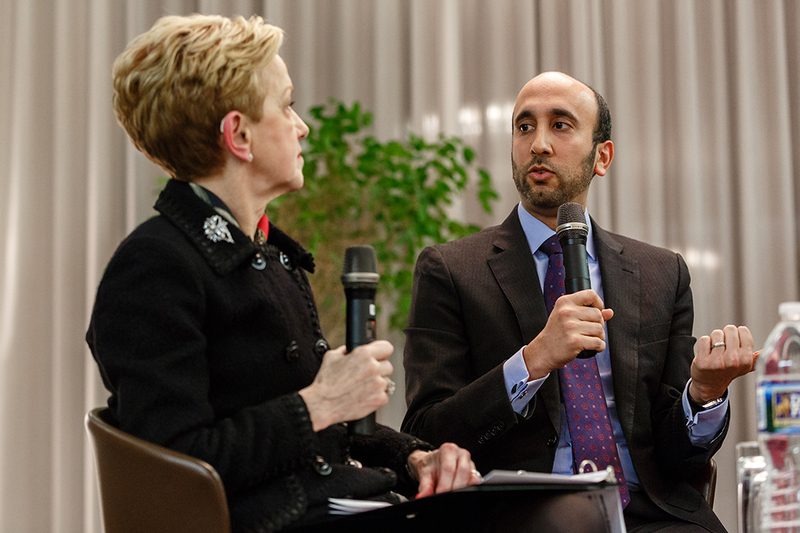 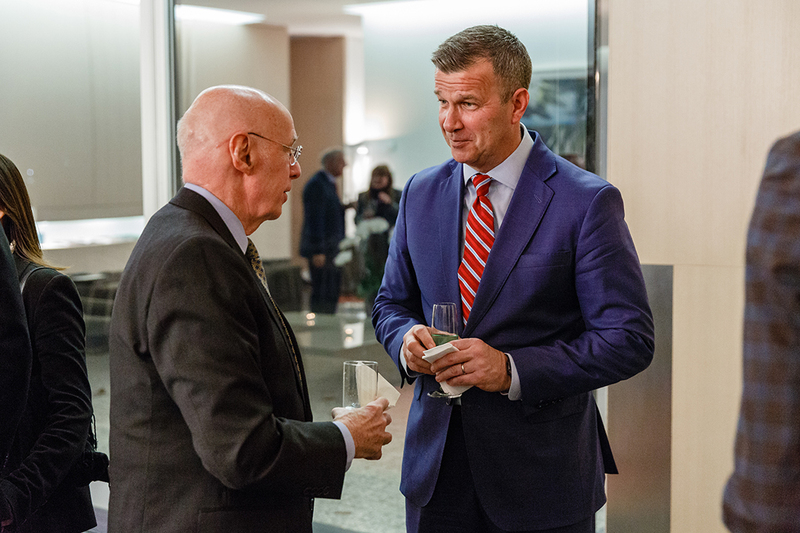 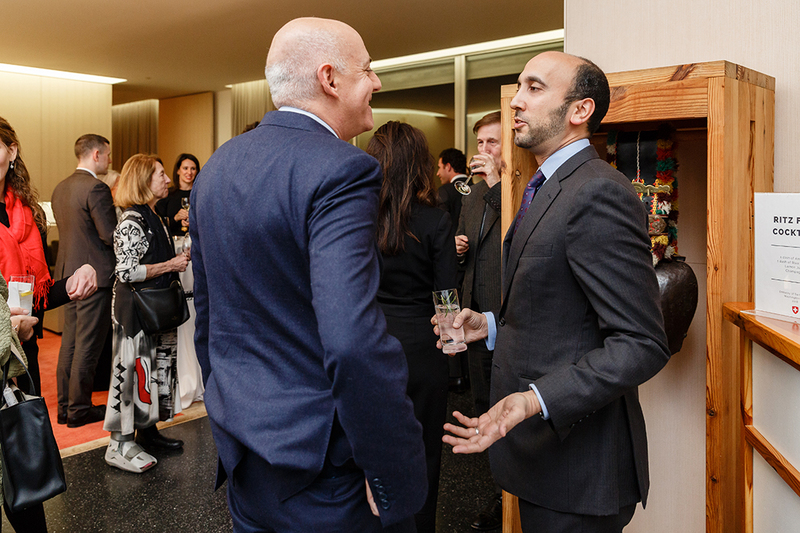 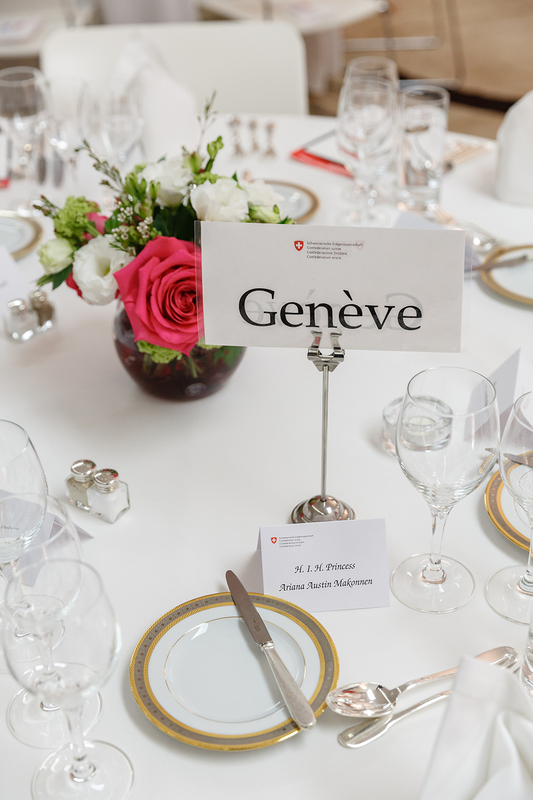 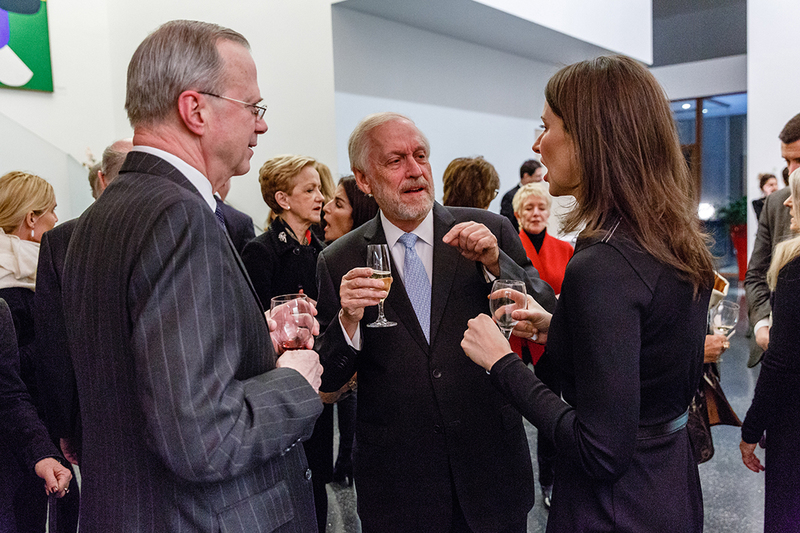 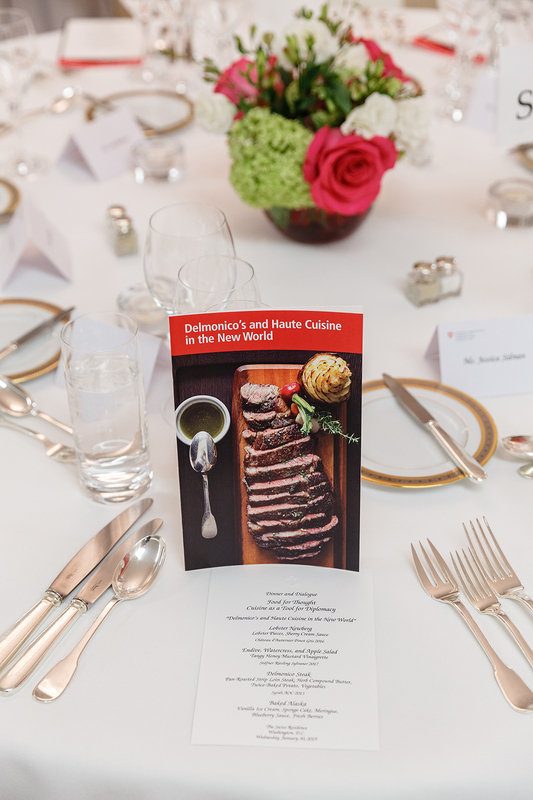 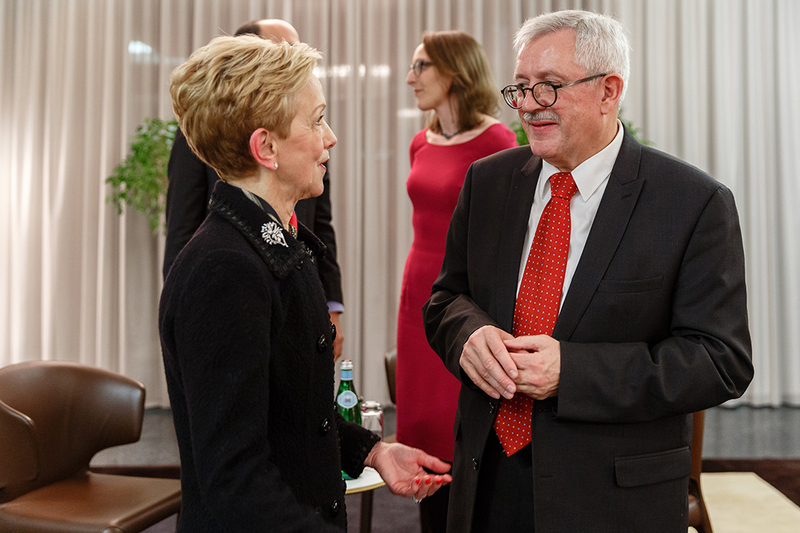 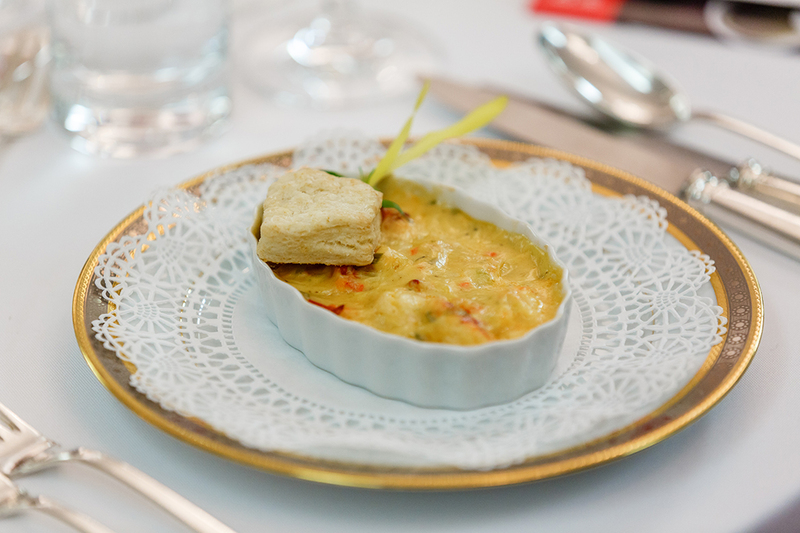 January 30 salon dinner, Embassy of Switzerland. 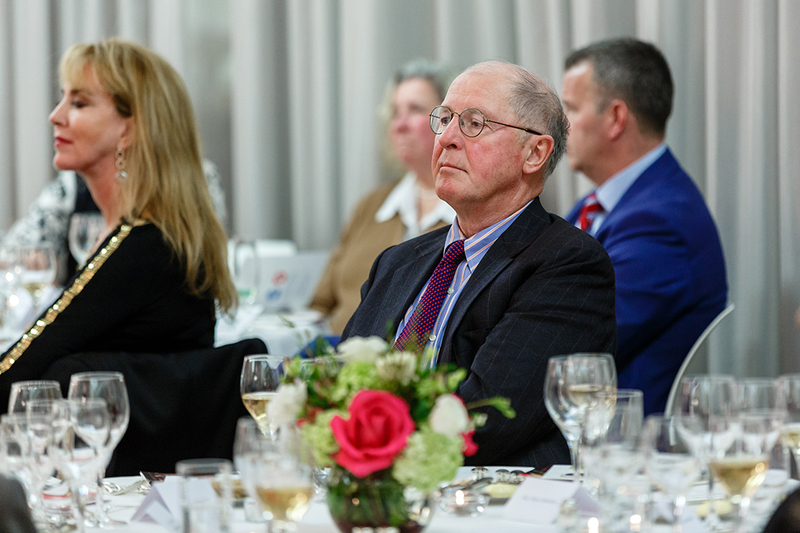 Photo credit Stephen Bobb Photography. 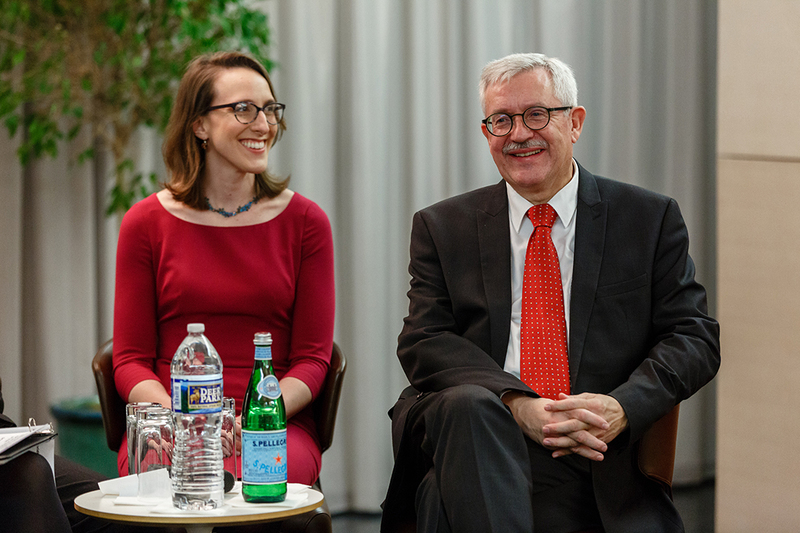 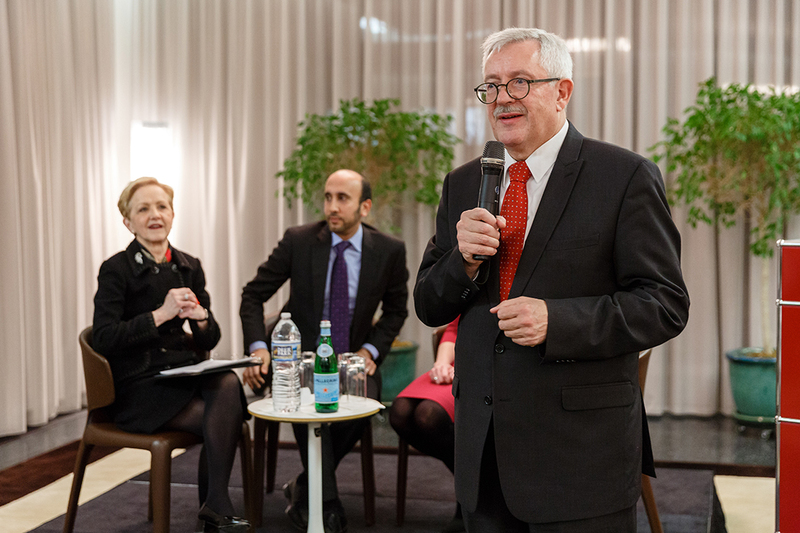 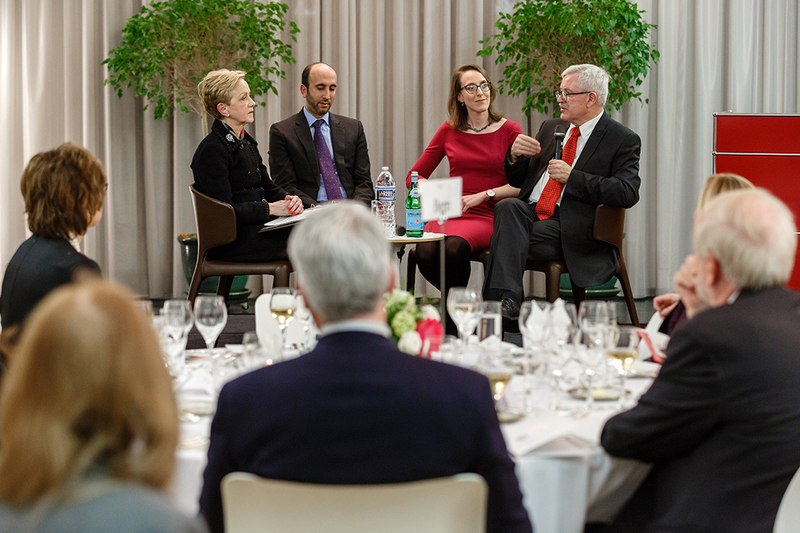 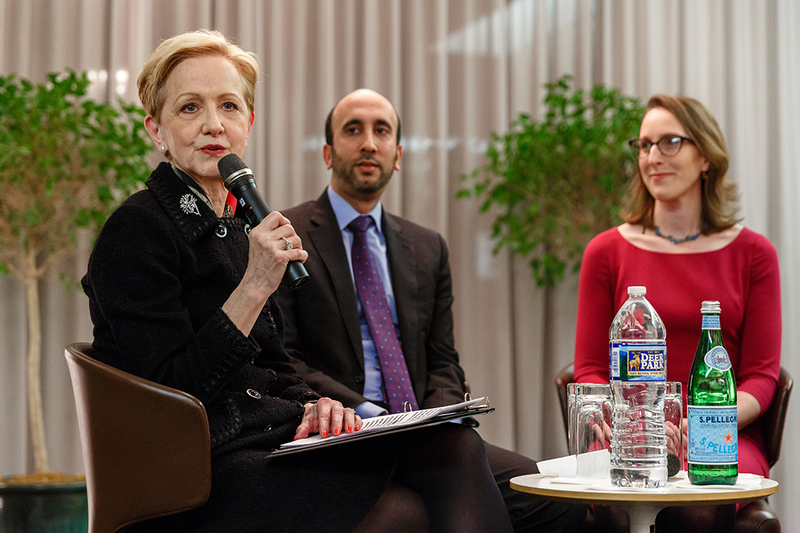 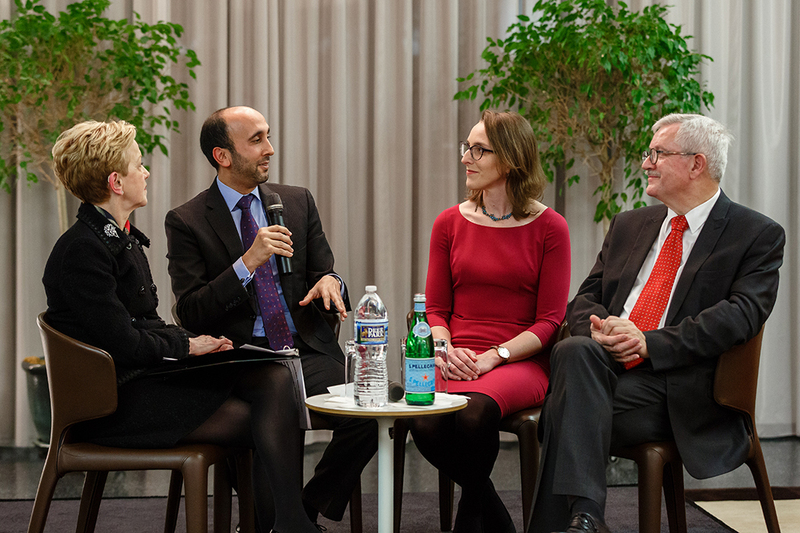 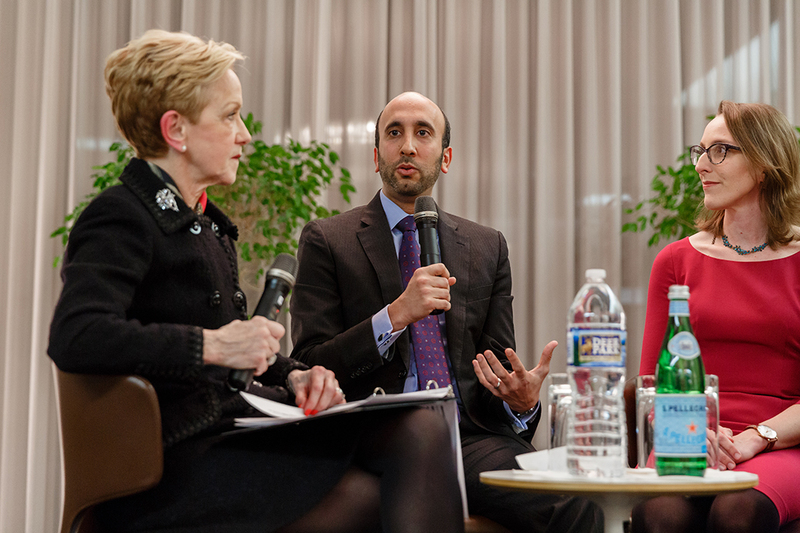 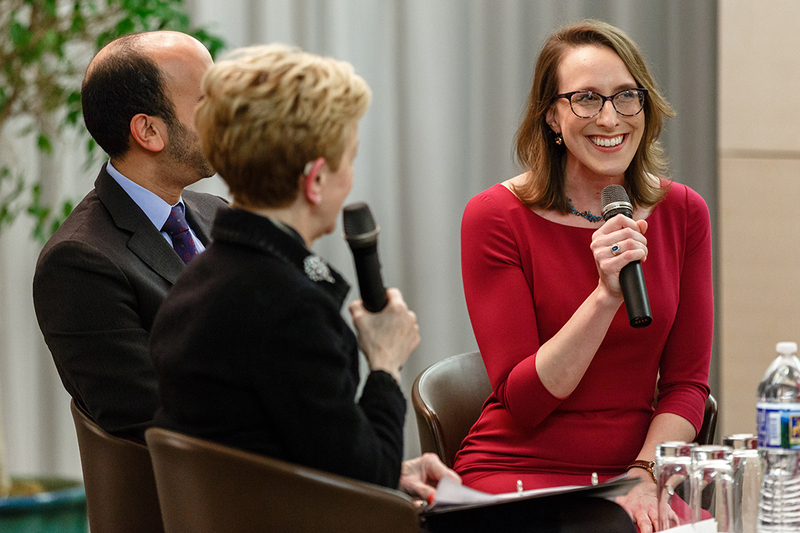 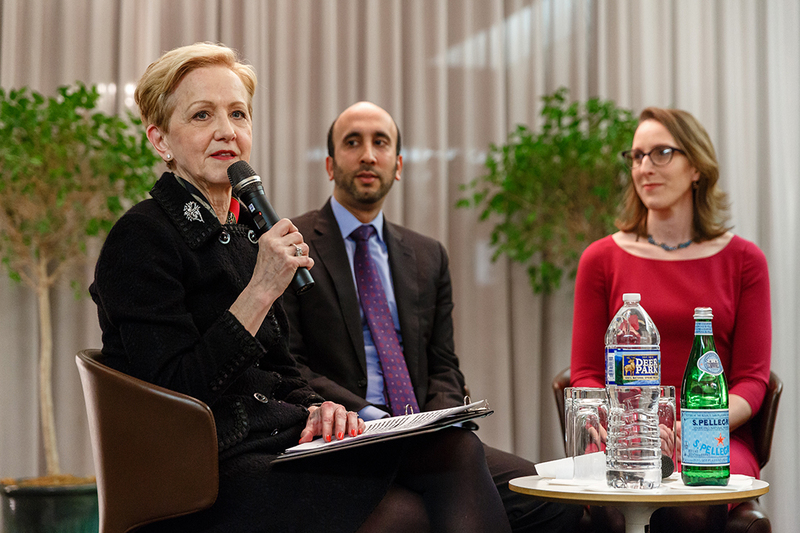 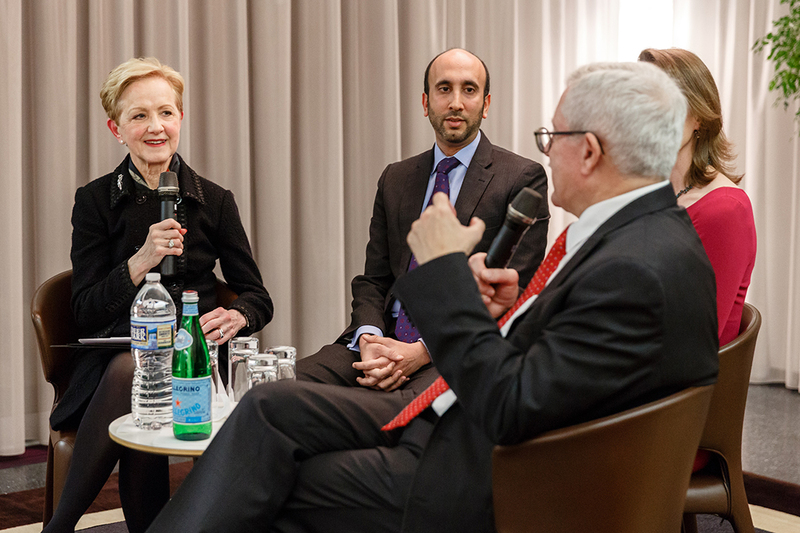 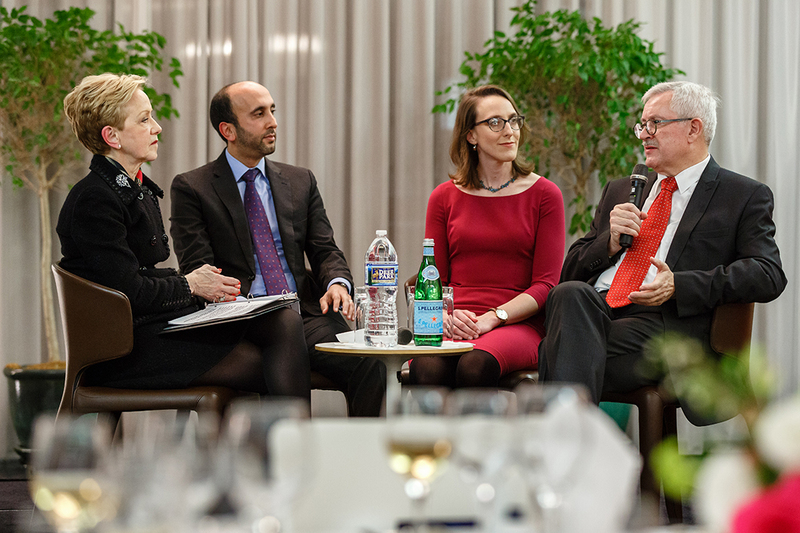 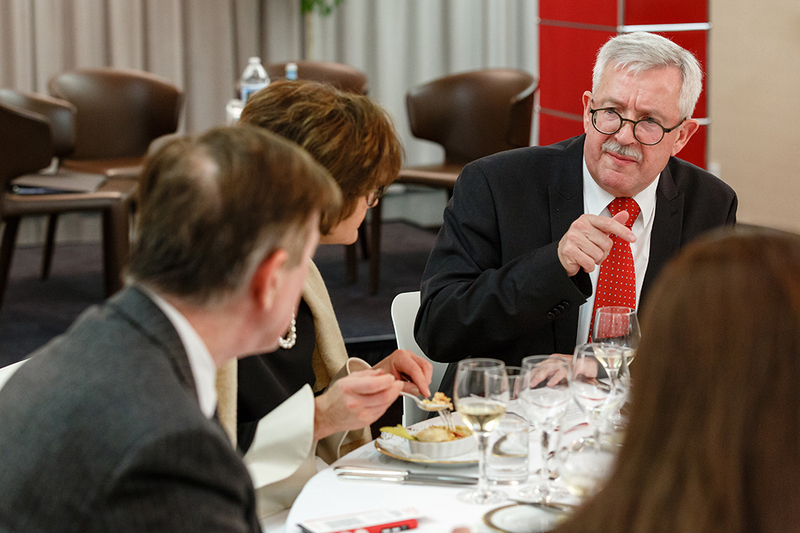 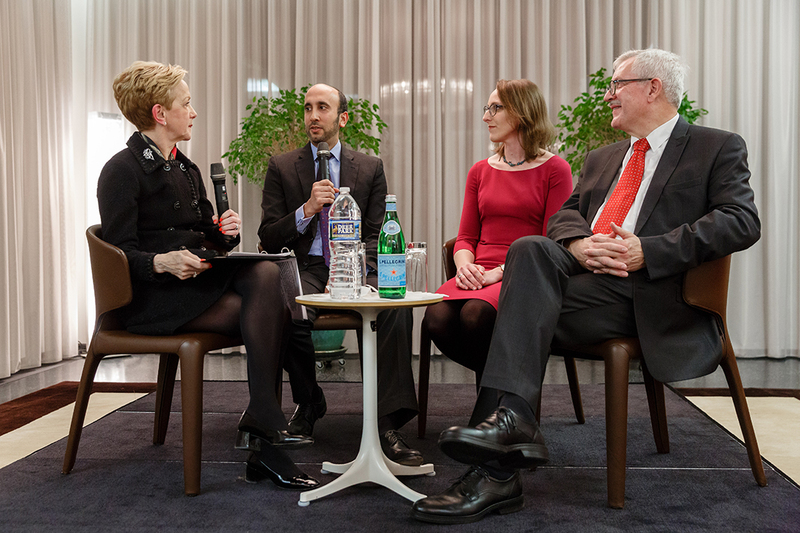 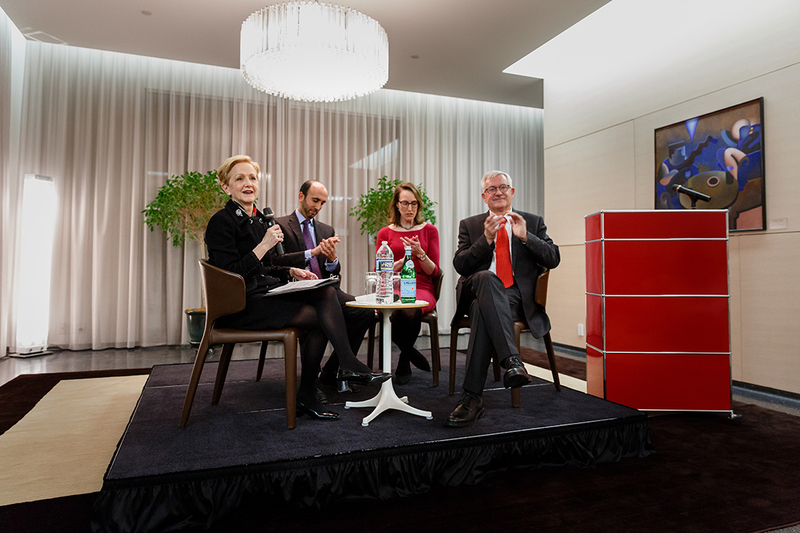 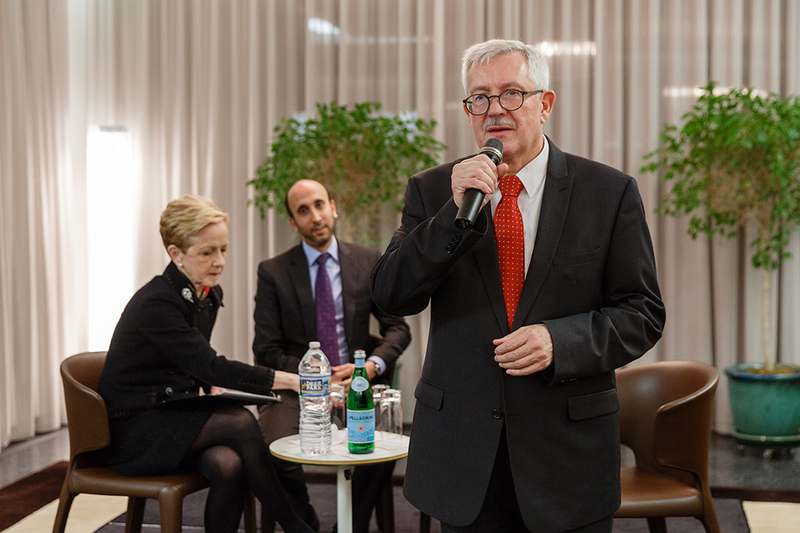 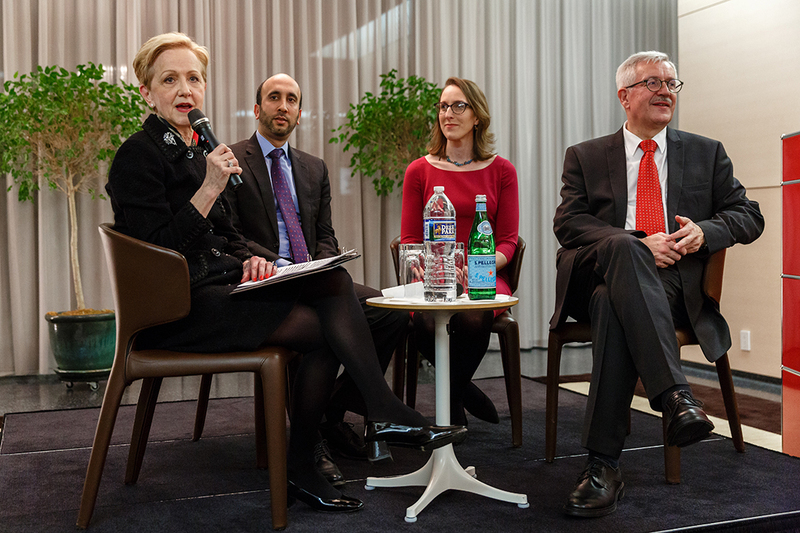 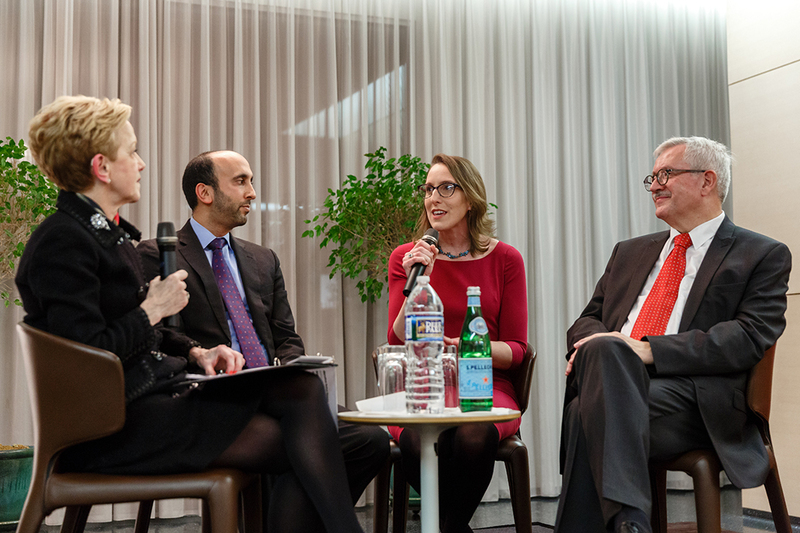 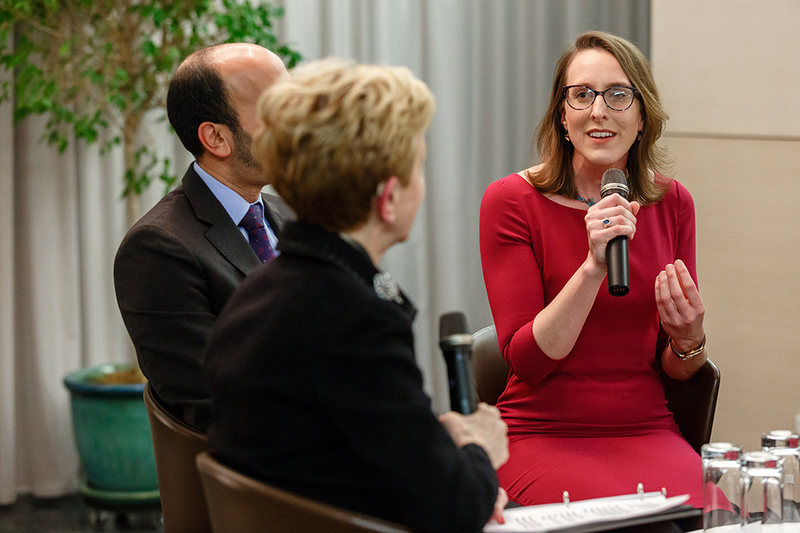 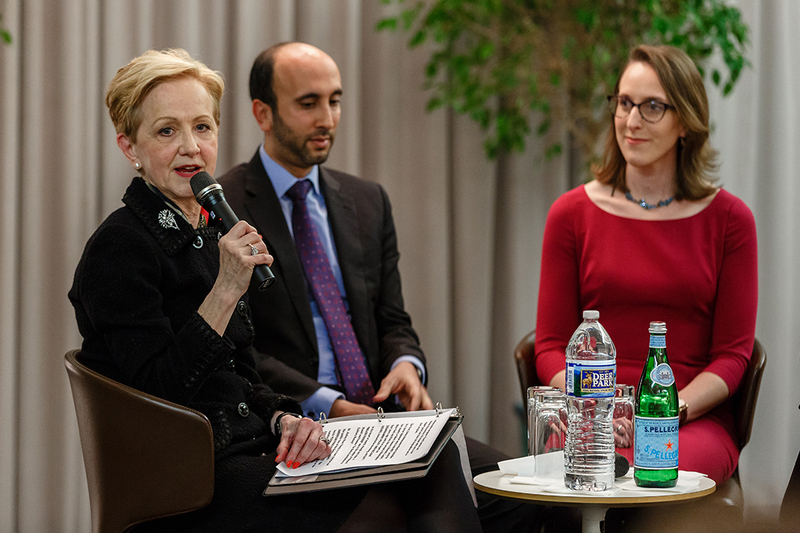 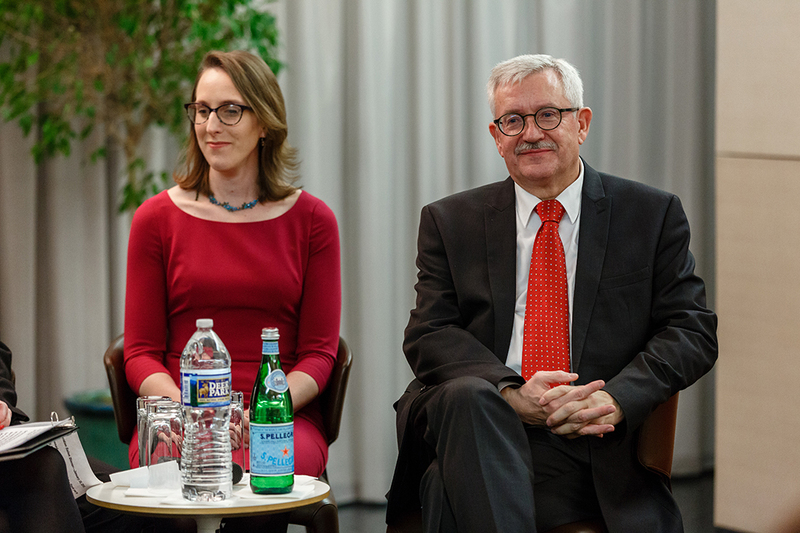 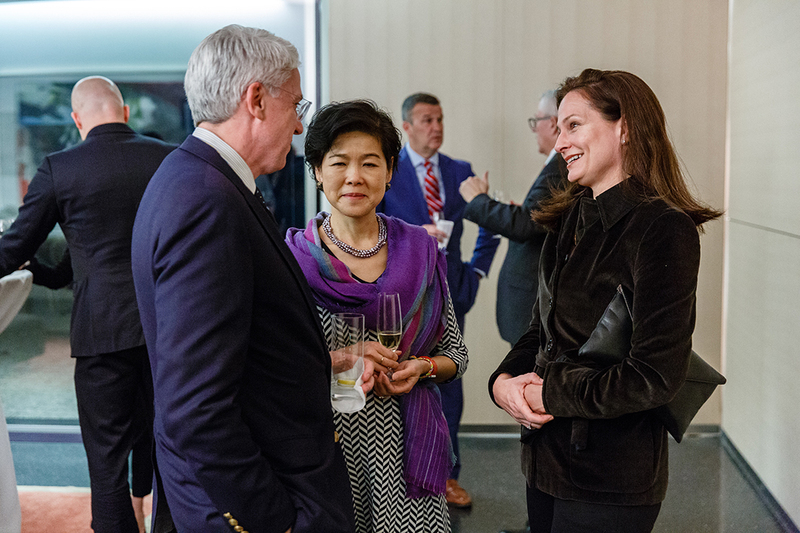 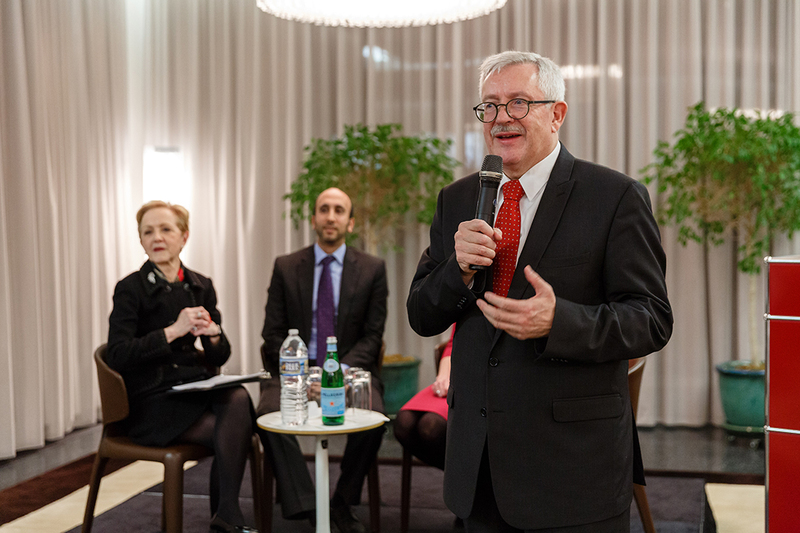 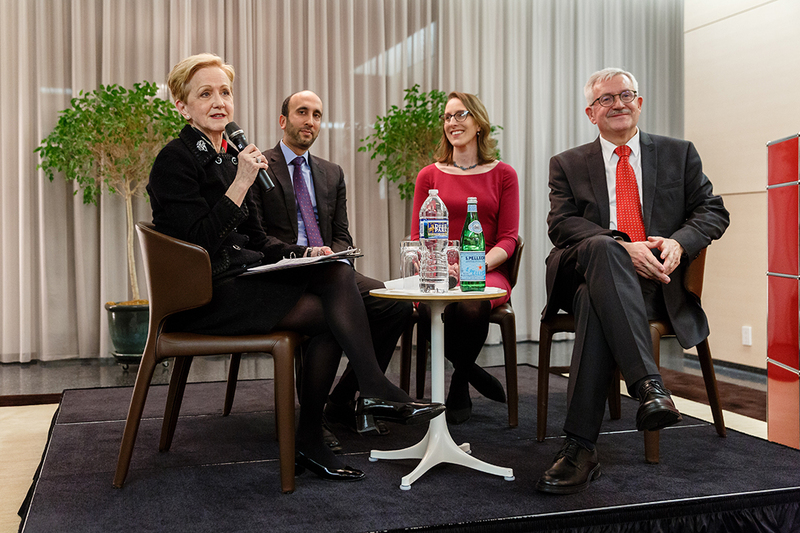 The Honorable Ann Stock (left) moderates the discussion on culinary diplomacy with Mr. Jay R. Raman, Dr. Ashley Rose Young, and Ambassador Martin Dahinden. 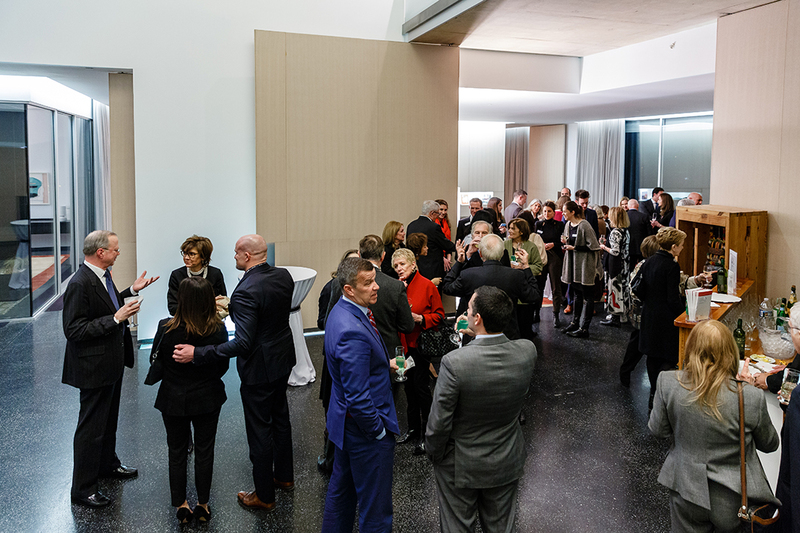 Photo credit Stephen Bobb Photography.